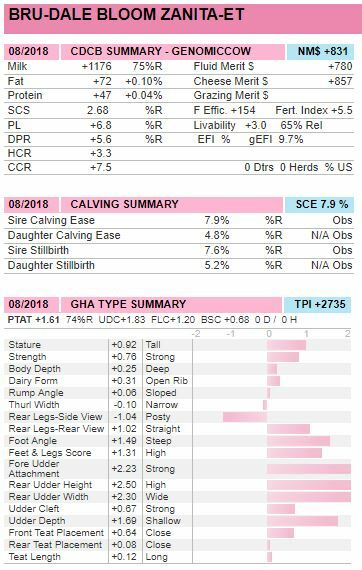 Exciting very complete BLOOMFIELD daughter that scores PTA M+1176, SCS 2.68, DPR+5.6, Livability +3.0 and with a very balanced type proof including positive teat length, sloped rumps and over 1.20 for both udders and feet and legs! Backed by a tremendous and OUTCROSS line of the ZIPS! 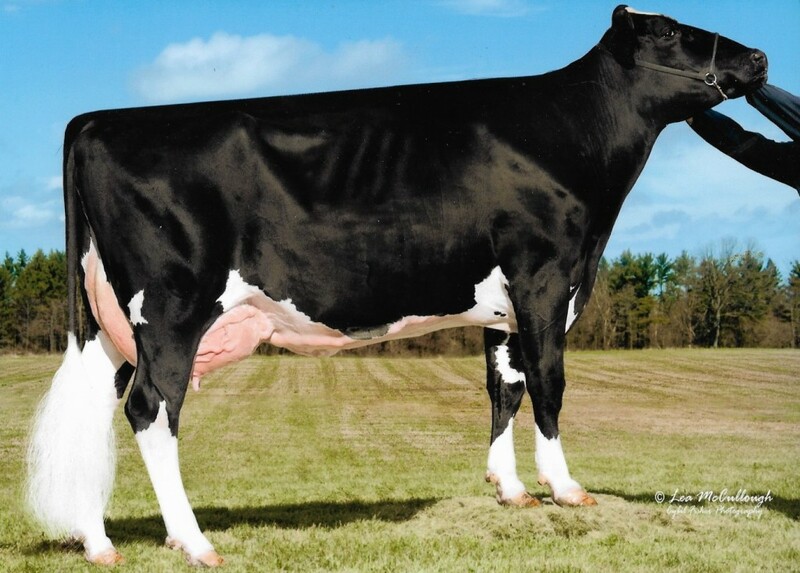 PTA Milk>+1100, DPR+5.6, Fertility Index+5.5, SCS<2.7 and Livability+3.0! Just fresh and looks good!